My iPhone Screen Is Cracked! Here's What To Do. You are at:Home»iPhone»Repair»My iPhone Screen Is Cracked! Here’s What To Do. You just dropped your iPhone and the screen is broken. When your iPhone screen is shattered, it can be difficult to figure out what you should do, which repair option is best, or if you should even repair it at all. In this article, I’ll explain what to do when your iPhone screen is cracked and walk you through the different repair options. When an iPhone screen cracks or shatters, there are usually a lot of sharp glass shards poking out. The last thing you want to have happen after you’ve dropped your iPhone is cut your hand on broken glass and have to go to the emergency room. If your iPhone screen is completely shattered, take a piece of clear packing tape and put it over the screen. If the screen isn’t significantly cracked, you may be able to skip this step until you figure out whether the screen is usable or if you want to have it replaced. Assess The Damage: How Broken Is It? 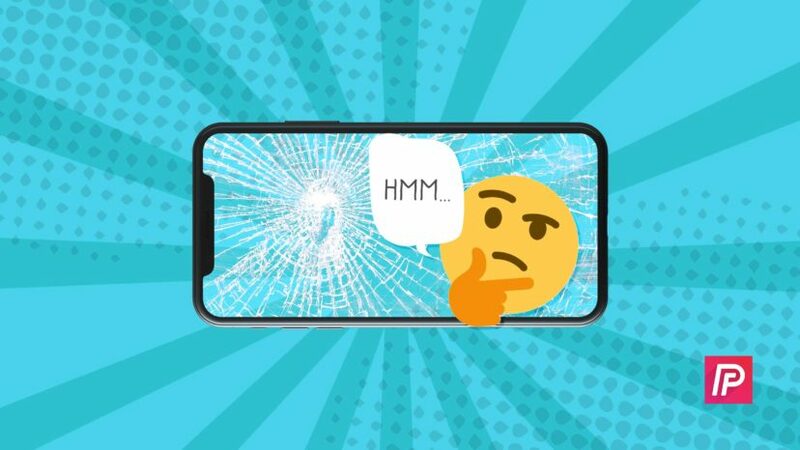 The next question you want to ask yourself is this: How broken is the screen? Is it a single hairline crack? Are there a few cracks? Is the screen completely shattered? If the damage is minor, it may be worth a trip to the Apple Store to see if an exception can be made — but those cases are extremely rare. Apple doesn’t cover physical damage to iPhones — there’s still a service fee even if you have AppleCare+. Most of the time, impact points are obvious and an Apple Genius can spot them right away. If you have a cracked iPhone screen, you won’t be able to talk your way out of it. 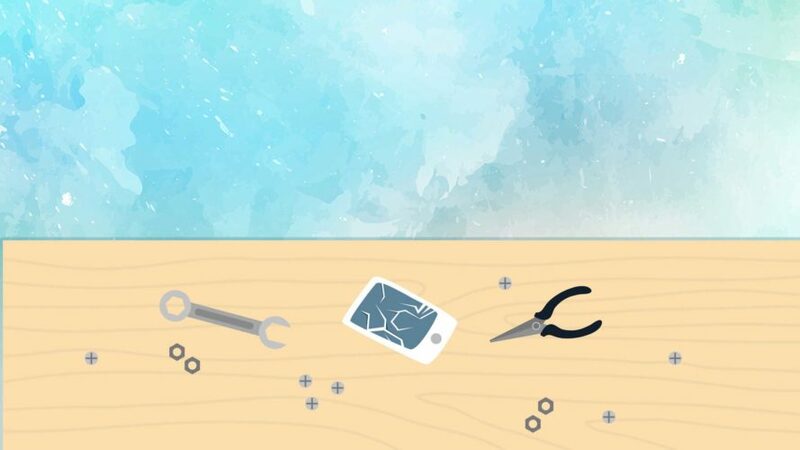 As an iPhone owner, you have lots of different repair options — so many in fact that sometimes it can become overwhelming. In all, you have six main repair options and we’re going to quickly walk you through each of theme below. If you have AppleCare+, a screen repairs usually cost $29. However, if you don’t have AppleCare+, you’re probably going to pay at least $129 — and possibly as much as $279. That’s just if the screen is broken. If there’s any other damage to your iPhone, such as a dent or bend in its frame, the repair cost will be even more. If you have AppleCare+, you’ll probably be charged $99. If you don’t have AppleCare+, your bill could be as much as $549. Apple also has a mail-in repair service, but return time can take a week or longer. If you have AppleCare+, Apple may be your best and least expensive option. If you don’t have AppleCare+, or if you need to have your iPhone screen fixed immediately, there are a few other options you may want to consider. Many people don’t know about this relatively new iPhone repair options that works very well for lots of iPhone users. 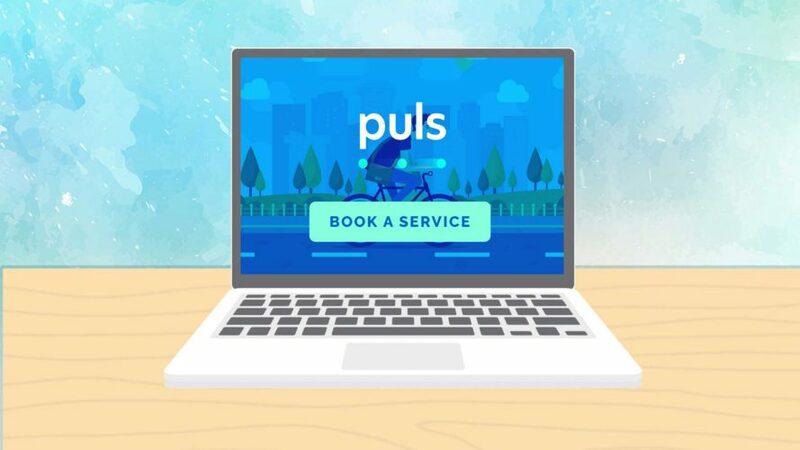 Companies like Puls are national brands that will send a highly-skilled, certified technician directly to you where they’ll repair your iPhone on the spot. Visit our Puls coupon code page for $5 off any repair! Come-to-you repairs are typically just as cheap (if not cheaper) than Apple repairs and they’re significantly more convenient. Instead of standing around the mall, someone comes to you — your daily routine isn’t interrupted at all. Furthermore, some of these come-to-you repair companies offer a better warranty than the one you’ll receive from Apple, which is 90 days. For example, Puls repairs are protected by a lifetime warranty. Another option that’s probably close-by is your local iPhone repair shop. As Apple products have become more and more popular, more and more phone repair stores have opened up. Typically, I don’t encourage people to choose this option. You don’t know who is doing the repair, what type of experience they have fixing iPhones, or where the replacement screen actually came from. Most importantly, if an Apple Genius realizes your iPhone has been repaired with a 3rd-party screen, Apple may refuse to do any future repairs on your iPhone when you bring it in. In this case, you’d have to buy a new iPhone or put up with your broken one. We stay away from making specific recommendations about local shops because there is so much variability. If you believe this option is best for you, do some research and read some reviews of your local store before going in. Mail-in repair services like iResQ are another increasingly popular repair option for cracked iPhone screen. Mail-in repair companies are convenient for people who live far away from civilization and want to save some money. 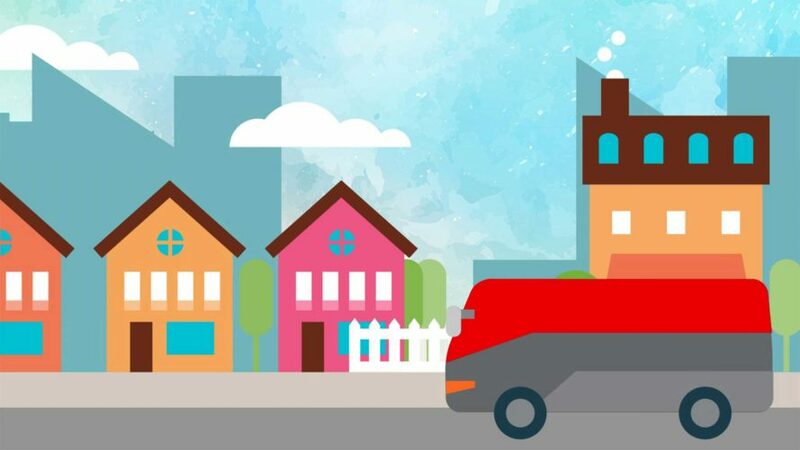 The main downside of mail-in repair services is that they are notoriously slow — returns can take up to a week or even longer. Ask yourself this: When was the last time I didn’t use my iPhone for a week? If your tech-savvy friend offers to do the repair, or if you think you could replace the cracked iPhone screen, that could be a good option — but it usually isn’t. Repairing an iPhone is a delicate process. There are dozens of tiny components inside your iPhone, so it’s easy to make a mistake or leave something out of place. If a tiny cable gets even the slightest of tears, you could be without your iPhone until you find a replacement screen or purchase a new iPhone. Furthermore, you need to use a specialized toolkit just to get inside of your iPhone to begin with. If your DIY iPhone screen replacement goes wrong, don’t expect Apple to bail you out. If Apple finds out you opened up your iPhone and tried to replace a cracked screen, they almost certainly won’t fix your iPhone. Even Apple Geniuses make mistakes when repairing cracked iPhone screens — that’s why Apple Stores are filled with replacement parts. More problems happen in the Genius Room than you probably imagine. There’s one more thing to consider — replacement screens aren’t cheap and it’s tough to know which are high-quality. Professional repair companies like Puls test iPhone screens thoroughly, and they offer lifetime warranties on their repairs. The potential for problems plus the cost of purchasing a special toolkit and a replacement screen is enough for me to tell you that’s repairing your cracked iPhone screen on your own is probably not worth risk. When your iPhone screen is cracked, you always have the option to do nothing. I don’t recommend attempting to fix it yourself unless you’re 100% OK with the worst-case scenario: a bricked iPhone. You plan on giving the iPhone to someone else. You plan on trading it in. You plan on reselling it. You plan on upgrading to a newer iPhone in the future. I belong to the iPhone upgrade program. Every year, I get the latest iPhone and send my old one back to Apple. When I got my iPhone 7, I dropped it and the screen cracked just a tiny bit. Nine months later when I sent it back to Apple as part of the upgrade program, they wouldn’t accept it until the screen was fixed. I had to pay for the repair before I could finish the upgrade. What’s the moral of the story? I should’ve fixed it 9 months earlier when it happened! I hope this article helped you figure out which repair option is best for your broken iPhone screen. It can be incredibly frustrating when your iPhone screen is cracked, so I wish you the best of luck in getting it repaired, whether you decide to choose Apple, Puls, or a different option. Leave a comment down below and let me know what your experience has been like with cracked iPhone screens and getting them repaired! Previous ArticleiPhone Notifications Say In 1 Minute? Here’s Why & The Fix! Next Article How To Zoom In On iPhone: The Quick Tutorial!